Changing my Caps Lock key as we speak. is anyone else writing Billy Mays on a tiny piece of paper? BUT WAIT, THERES MORE!!!! 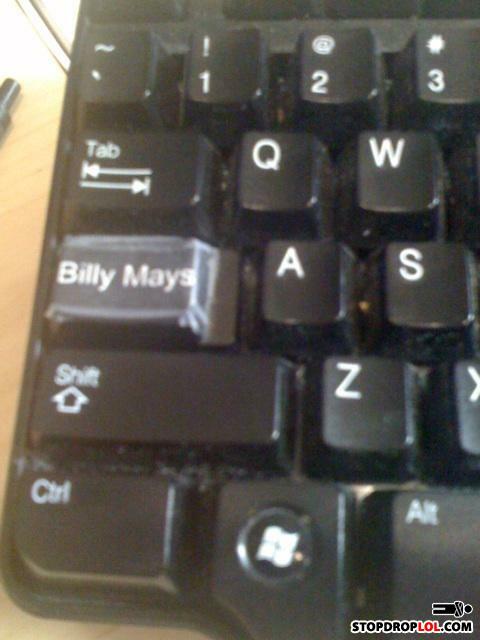 BUY ONE BILLY MAYS BRAND CAPS LOCK AND WELL THROW IN ANOTHER ONE FREE!!! ALL FOR JUST 19.95!!! The dude did YELL a lot. Good one! Billy Mays here with Caps Lock! Now you can look cool anywhere in cyberspace by the tap on a button! JUST LIKE ME! THAT IS THE MOST AWESOME THING. google the replacement key! You can find it...but wait! U can get 2!! !